You need a pay strategy that is agile, compelling, enduring...and will drive business growth. You spend an enormous amount on compensation every year and want to make sure that investment produces the results you expect. Consequently, you are looking for experts that understand how you think and can deliver a rewards plan that will turn your people into growth partners. Well, you've landed at the right place. That is who we are and that is what we do. The foundation of a performance-centered pay strategy is effective value-sharing. Since 1996, VisionLink has built incentive plans for hundreds of companies in virtually every industry. We know what works..and what doesn't. We advocate for a value-sharing approach that has a single, overarching philosophy applied towards two separate performance and rewards periods and plans, as illustrated below. To compete for top talent, your pay offer must be compelling. And to be compelling it must be complete. VisionLink covers you on both fronts. Our pay designs help you attract great people and turn them into high performers who are as committed to your company’s success as you are. We are equipped to handle all aspects of your pay strategy--from market pay assessments to salary grades and incentive plans. 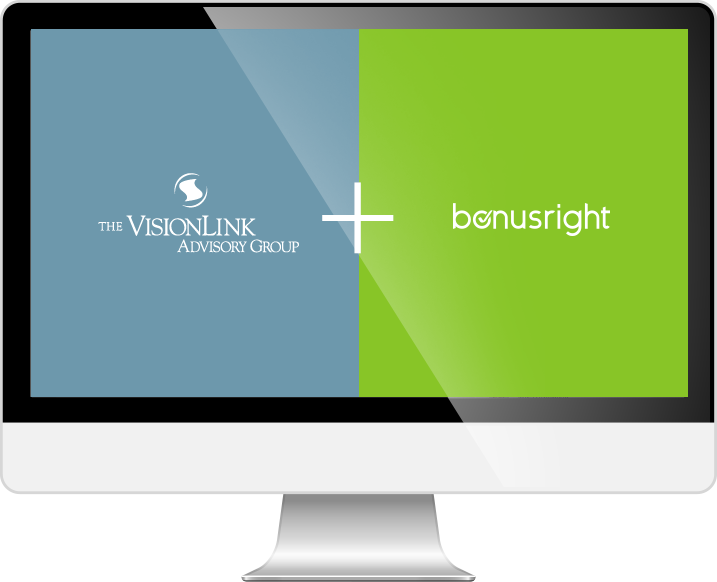 BonusRight is a revolutionary tool engineered by VisionLink that enables you to build, communicate and manage your bonus plan(s) all in one place--simply, effectively and online. It is the frustration-free way to design and administer a plan that you will no longer have to "redo" every year because it isn't "working." This one-of-a-kind software not only makes design easier, it makes your plan more successful. BonusRight is the new, worry-free way to create and manage a bonus plan that actually works.